This page is a work in progress! Our editorial team is at work migrating archival content to the Open Access blog. Please check back soon for more posts about all of our exhibitions and events from 2017. 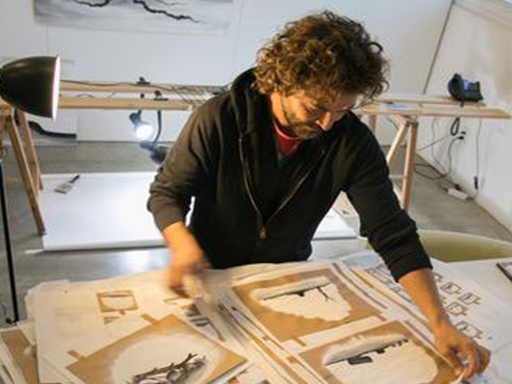 This exhibition features a proposal for an ambitious, large-scale outdoor installation and community engagement project by Lucas Artists Fellow Máximo González. Over a period of six years, González has carefully crafted a mysterious alter ego he calls “the collector.” Performed by the artist, this elusive figure has travelled the world painting portraits of dead and dying trees. Many of these works are on view here. NOW HEAR THIS! 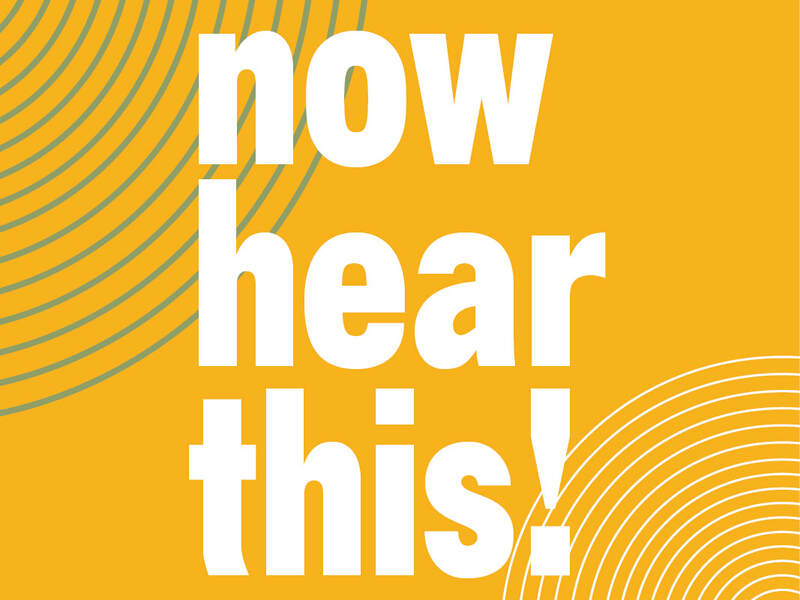 is an outdoor exhibition and sound festival featuring the work of thirty-one local and national sound artists, composers, instrument-builders, performers, and visual artists for whom listening plays a vital role in their creative process. Visitors to Montalvo's park were invited to consider the following questions: How can listening disrupt or enhance our sense of place and space? Can the act of listening produce new forms of public engagement and awareness? How can we listen more deeply and differently? ​Developed by artist Taro Hattori, Rolling Counterpoint is a space for encounter designed to foster dialogue about experiences of division and belonging in contemporary society. 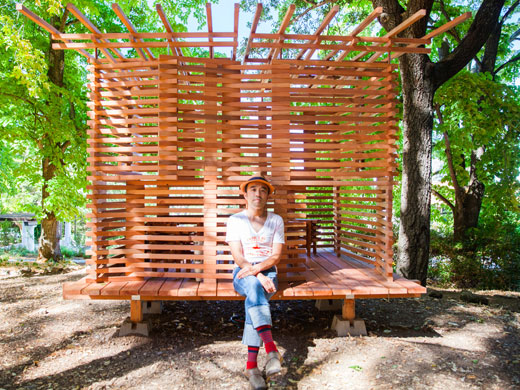 ​The project consists of two teahouses: one stationary space installed outdoors on Montalvo Arts Center’s 175-acre public park in Saratoga, California and one mobile teahouse, which travelled to various cities in the Bay Area in 2017 (Cupertino, San Jose; Berkeley, Oakland, and San Francisco). Please visit the Rolling Counterpoint website to find out more about the project.